Your own "mountain retreat" in Chapel Hill city limits! 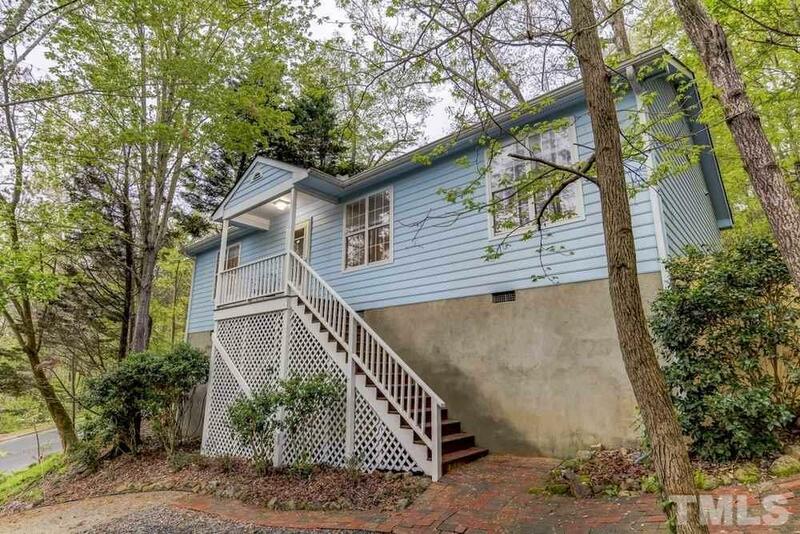 Completely updated split bedroom ranch home in fantastic Chapel Hill location. Fresh paint. New carpet in bedroom. New hardwood style floors. New roof 2017. New HVAC 2017. Large family room. Separate dining room. Kitchen includes gas range. All appliances convey! Back deck with private backyard. Great views from front porch. Walk to Southern Village. Parks and trails nearby. Chapel Hill schools.